Welcome to a vibrant, hands-on family festival cultivating creativity, crafts, arts and innovation. Launched as the brainchild of SRQ MEDIA President and CEO Lisl Liang as an experiential mosh-up of learning pathways, SRQ KidsFest deconstructs the whole mind ecosystem of creativity by curating an afternoon where curiosity, open-ended play, arts and design reign supreme. 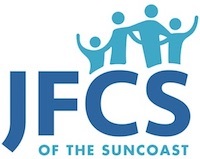 SRQ KidsFest is an experience designed to connect parents and kids with hands-on learning experiences, local engagement resources and opportunities in our region with a day teeming with exploration designed to deliver fun “a-ha” moments for the whole family. In one afternoon program, SRQKidsFest will capture the power of imagination with interactive experiences with workshop such as letterpress, musical instruments, glass blowing, storytelling, architecture, arts and crafts and a variety of magical experiences designed to stir creativity. Parents will be able to peruse booths showcasing the thoughtful programming, education and family services available in our area from educational organizations to parenting resources, camps to sports and creative theatre to engineering. Join the creative SRQ MEDIA team for an afternoon of unleashed creativity and inspiration at the Ringling College of Art and Design campus. Watch as the Alfred R. Goldstein Library is transformed into a three-level, hands-on experiences for children 4 to 16 and their families. Presented by Music Compund, kids will have the opportunity to try out over 20 different instruments, including drums, guitar, and ukulele. We will also have a Crafty Musicians station set up where the kids will get the opportunity to create their own musical instruments. Music Compound provides music lessons for people of all ages starting as young as six months old. We offer both group and private lessons, along with an assortment of workshops, camps and concerts. Our mission is to inspire, collaborate, and educate. Think of Alexander Calder’s larger than life mobiles, suspending form and color in space. Learn the history and mechanics of how a mobile works while creating and layering your own unique paper forms to be attached to the 3-tier collaborative 3-story mobile. This project will culminate with a raising of the mobile to full height to see it in motion, and close the festival events. Take in the tranquility of the library’s 2nd floor deck with an energy releasing practice to improve strength, flexibility, and coordination.Through yoga, kids develop awareness, love and connection to themselves. In between workshops, explore the levels of the Alfred R. Goldstein Library with hands-on activities waiting for you on each floor. We invite your children to engage in our hands-on workshops scheduled throughout the afternoon featuring the incredible faculty from The Ringling College of Art and Design and creative professionals from the region. Each registered child will be able to attend at least one workshop. When you register for KidsFest, you will be able to select one of the workshops below for each child. We will do our best to honor requests on a first come, first serve basis. When you arrive to check in on the day of KidsFest, you will have the option to sign up your child(ren) for additional workshops based on availability. Please note that each workshop has a recommended age range provided by the instructor for each workshop. We ask you to make the best decision on whether your child will be well-suited to participate in a workshop whose recommended ages do not reflect your child's age. 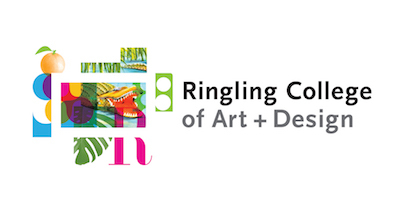 Work with Ringling College of Art and Design faculty and staff, explore hands-on creativity in 2-D and 3-D workshops. Learn to understand what you see, the mechanics of form and space, and the many ways that these artistic experiences may inform and support creative solutions in many projects and processes. 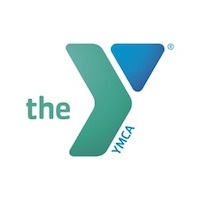 Connect with organizations producing programs, events, services and support for families in the region. Our community booths showcase the stellar family services available in our area from schools to parenting resources, camps to sports and from educational organizations to creative classes.